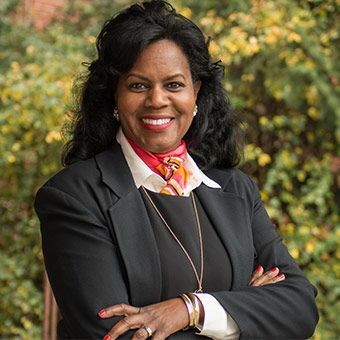 Harris Search Associates has recruited Renee Coleman-Mitchell as the next Executive Director for Health and Wellness Services, Counseling and Psychological Services at Washington State University. Reporting to the Vice President of Student Affairs, the Executive Director (ED) provides strategic vision, leadership, advocacy for, and management of Health and Wellness Services and Counseling and Psychological Services (HWS/CAPS) by providing administrative oversight on the Pullman campus for these services. The Executive Director (ED) provides strategic, financial and budgetary leadership and management of Health and Wellness and Counseling and Psychological Services (HWS/CAPS) by providing administrative oversight of services at the Pullman campus. The ED oversees program quality management, risk management, HIPAA and ACA compliance, accreditation compliance, resource management, and professional development. He/She leads all HWS/CAPS staff, serves on University committees, and collaborates with Student Affairs departments and other University and community personnel in addressing student mental health and health care policies and public health issues. Renee D. Coleman-Mitchell is Section Chief for the Community, Family and Health Equity Section at the Connecticut Department of Public Health. In her role as Section Chief, she is directly responsible for the fiscal and programmatic management for various public health programs addressing many health issues such as: Chronic Diseases, Women, Infant, Children Health, Adolescent Health, School-based Health and Childrenand Youth with Special Healthcare Needs, Women’s Health, Oral Health, Genomics, Injuries, and Health Equity for all. Previously, Ms. Coleman-Mitchell served in various capacities such as Deputy Director of Health for the City of Hartford, Director for the Meriden Community Health Center and as one of the Commissioners on the City of Hartford’s Permanent Commission on the Status of Hartford Women. She currently serves as the Department of Public Health’s representative on the CT Public Health Association Board, the Child Poverty Council, and the CT Medicaid Medical Assistance Program Oversight Council. Also, she is Adjunct Professor at the University of CT, Public Health Program teaching Maternal and Child Health. Ms. Coleman-Mitchell is a graduate of Connecticut College with a Bachelor’s Degree and received her Master’s Degree in Public Health from Yale University, School of Medicine.